MYR was started 2014 by the interior architect Johanna Landin. She was looking for a well designed shoulder bag made in Sweden in swedish vegetable tanned leather. When she couldn't find one she decided to learn how to make one herself and MYR was born. MYR designs and manufactures bags and accessories by hand in workshops in Stockholm and Öland, Sweden. Everything is made to order in swedish organic vegetable tanned leather from Tärnsjö tannery. Design and manufacturing are tightly woven together when new models are being developed by sketching in full scale. MYR believes in slow fashion where the uniqueness in a hand painted pattern or a shape cut out by hand gives the objects lasting qualities. These four bags and bracelets are inspired by the stains that a rainfall creates on a dry surface. Their names and patterns refers to different types of rain. 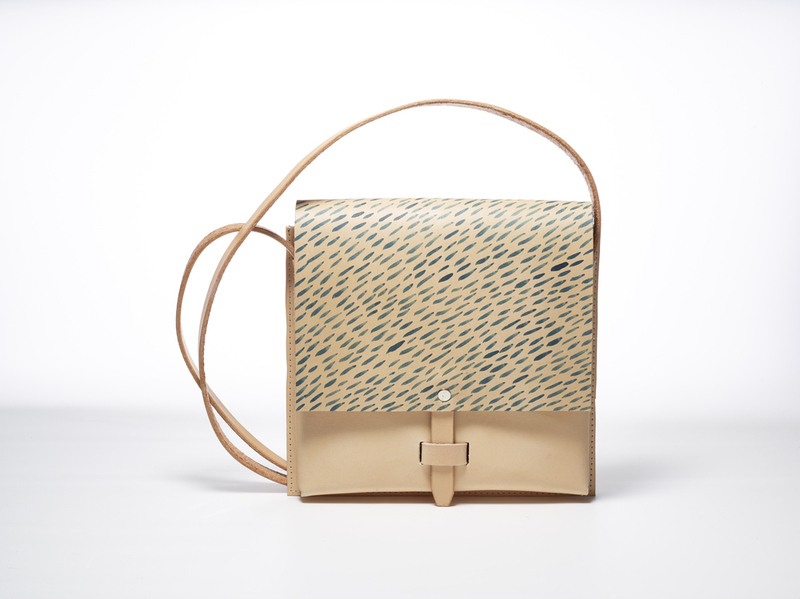 The patterns are made by hand with waterbased leather dye, therefore every bag is unique and never similar to the other.